Home > Books > Rescues! 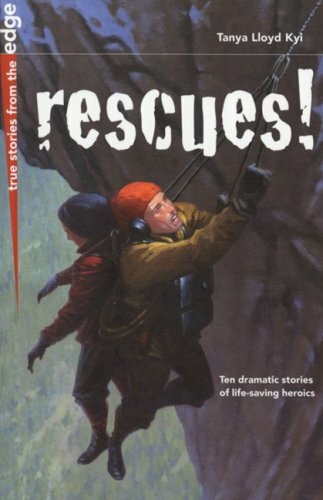 Ten remarkable rescues from around the world. In 1957, four stranded climbers faced certain death high in the Swiss Alps. Fifty of Europe's most experienced mountaineers quickly gathered to plan one of the riskiest rescues in climbing history. In 1977, a plane carrying 79 tourists was hijacked by Palestinian terrorists. After five tension-filled days, German commandos stormed the plane to rescue the passengers. In 1903, the deadliest rockslide in North American history buried much of the town of Frank, Alberta. Rescuers were forced to dig with their hands in a race against time to find survivors. The latest in the award-winning True Stories from the Edge series, the tension-filled and fast-paced stories in Rescues! are sure to leave readers breathless.